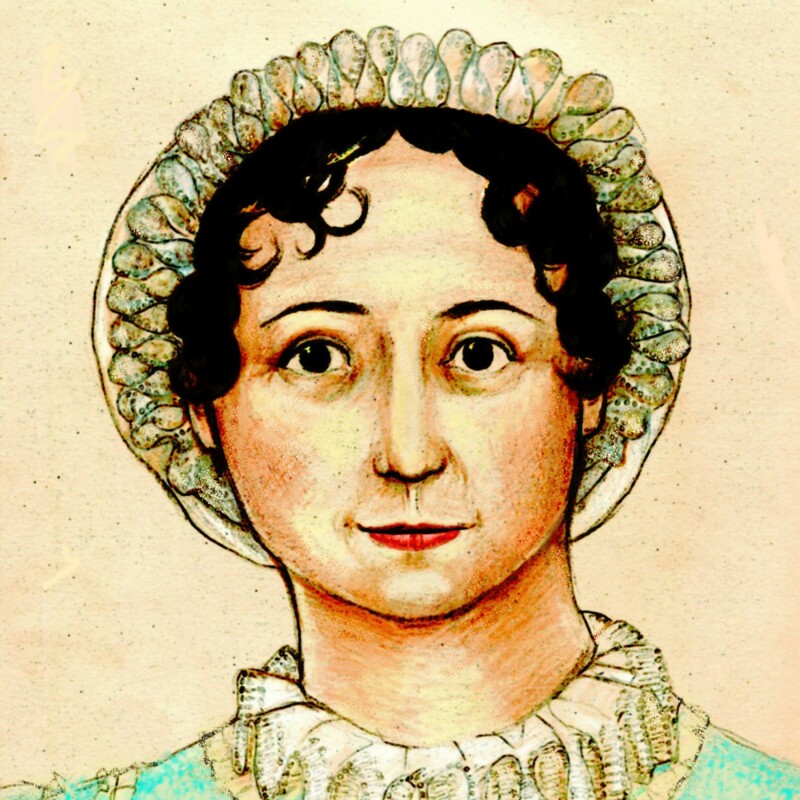 It’s Jane Austen’s 241st birthday today. This is the birthday cake that JASNA’s Eastern Pennsylvania region, of which the Editrix is a member, enjoyed at our recent celebration of Jane’s birthday. The cake, from Bredenbeck’s bakery in the Chestnut Hill section of Philadelphia, was delicious as well as beautiful. Please be upstanding and lift your beverage of choice in a toast to an authoress whose work has endured for two centuries after her death. That is an accomplishment indeed. It is our custom for birthday posts to imagine a gift that we would like to give Jane for her birthday. It’s cold tonight at AustenBlog World Headquarters (though rather warmer in Winchester) so maybe we’ll crochet her some fuzzy slippers to keep off the chill. Our other gift is more ephemeral, and we hope it will work out. We’re going to promise to write more. More for AustenBlog, more for our personal blog, and more in general. It is rather a selfish gift, as we are doing it for ourself as well as for Jane, but somehow we don’t think she’ll mind. We have a couple of projects in the fire and hope to share them in the New Year with our Gentle Readers. And speaking of stuff we’ve written, see the post below this one for a giveaway in honor of Herself’s natal day! I’d wish for a lock for Jane’s door so that she could write in peace, without having to hide her manuscripts away every time someone approached! Virginia Woolf was definitely on to something with the whole Room of One’s Own thing. I’d give her a very large pile of scholarly works about herself, fan fiction, DVDs of her film adaptations, and translations of the six, so she could appreciate just how immortal she’s become! I think she would appreciate it! Excellent ideas for presents. I’m looking forward to hearing more about your new writing projects, Maggie. I would give her a Kindle Fire to enjoy reading the literary works of her contemporaries and see her own. She could even have her own Facebook account and receive the international praise that she never enjoyed during her lifetime. I would also give her a Dell PC to make it easier for her to rewrite her newest novel. I would love for her to know that we celebrate her this many years later.